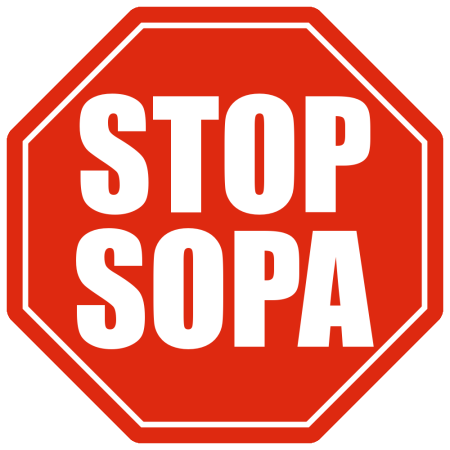 Master Marf: Stop SOPA and PIPA! It's like when they try to ban "texting while driving" when "reckless driving" is already illegal. @ Vid: Except there would be a section already under "reckless driving" specifically outlawing texting (see DMCA). No, SOPA would be the equivalent of everyone in the car losing their driver's license if the passenger in the back seat was accused of texting. Guilty until proven innocent. Next 10 years they will have cameras in and on your car (standard issued) to monitor your speed and facial image *for aggressive driving* which then will be sent to the nearest police station so they can issue you a summons in the mail for speeding. Then that will get rid of the rent-a-cops and all the atheists who hate Christians will be in heaven. Dammit, this is the second time you've convinced me of something! lol The first being the space program should be kept. That's a pretty rare thing, especially for on the internet. Looking at the text of PIPA, it does appear to be a lawyers full employment act. Yeah, they've been getting more snow than usual in Ketchikan.